The OTHER 9/11: What happened on September 11th, 2012? Please share this post and the links below. May we not forget the men and women who sacrifice so that we may live and live freely. Ambassador Chris Stevens, Dohetry, Woods, and Smith were killed in a terrorist attack on 9/11/12. On September 11, 2012, the eleventh anniversary of the deadliest terrorist attack in American history, another terrorist attack on American soil occurred. The attack happened under cover of darkness in Benghazi, Libya, a very unstable region of the world. 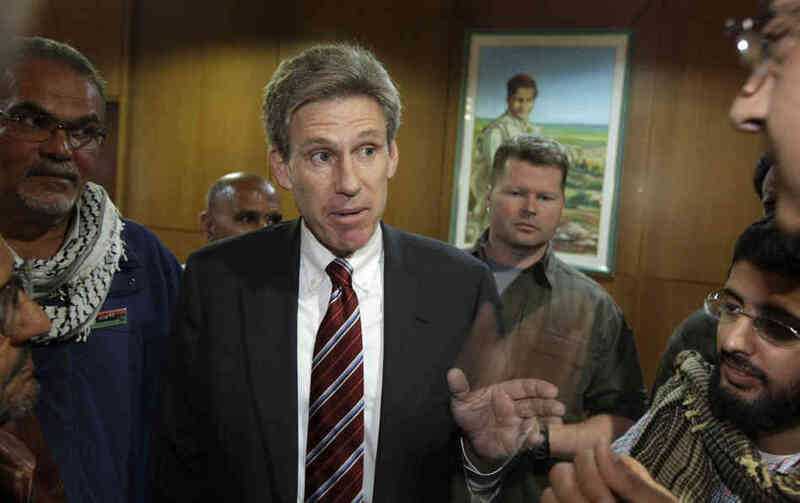 Our consulate was attacked, and four American diplomats were killed, including Ambassador Chris Stevens. It was the first time in about 40 years that a US ambassador had been killed. With the 20 links below, from a diverse group of 12 different news sources, I hope to demonstrate that 1) the death of four Americans was preventable and unnecessary, 2) the Obama Administration mishandled rescue operations AND Obama was absent in the midst of this crisis, and 3) President Obama himself lied about the details of the attack for approximately 17 days. WASH. TIMES: Even though Chris Stevens and his team requested additional security at least 14 times, The State Department, an extension of the Obama Administration, drew down security forces in Benghazi and left Americans exposed in a hostile environment. USA TODAY: Security for Stevens and his team was CUT by 2/3 in the months leading up to the attack, even though Libya is among the most unstable regions in the world, especially since the Libyan government was overthrown. ABC NEWS: The Obama Administration denied requests for additional security, despite both the instability of the region and approaching anniversary of the September 11, 2001 attacks. THE INDEPENDENT: The State Department was aware of preparations for an attack at least 48 hours before the actual attack on the consulate. ABC NEWS: President Obama skipped about 40 percent of his daily intel briefings (President Bush skipped less than one percent), including the week leading up to the 9/11/12 attacks. THE HILL: The Consulate in Benghazi received repeated threats in the weeks leading up to the attack. CNN: Excerpts from Stevens’ journal reveal he feared for his life in the days leading up to the terrorist attack and his resulting death. 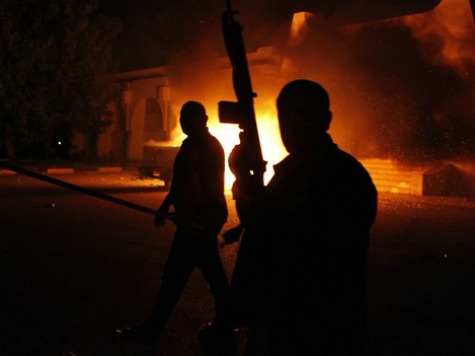 BENGHAZI: THE DEFINITIVE REPORT: The Obama Administration had authorized a secret war in Libya. US counterterrorism units were hunting down al Qaeda members as the militants took advantage of the recently-toppled Libyan government (Obama -authorized US air support helped topple government). Benghazi was one of the top cities in the Middle East for al Qaeda recruitment. Yet Stevens’ security forces were cut by two-thirds. CBS NEWS: Whistleblower reveals that special forces were told to “stand down” before the 2nd attack which put 30 Americans at risk, killing 2 former Navy Seals. No help outside of Libya was sent in the 7 hour window. FOX NEWS: CIA operators on the ground in Benghazi were denied requests for help during the attacks. At least two of the men killed in the attack engaged the militants without consent from the State Department; it is likely their efforts saved dozens of lives. REUTERS: Less than two hours into the seven hour assault on the US consulate, the White House was told that a militant group connected to al Qaeda was claiming responsibility for the attacks. CBS NEWS: The White House was e-mailed throughout the attack with updates and details of the attacks, indicating they were aware this was a terrorist attack and not a mob protest. CNS NEWS: There was no intelligence regarding a YouTube video or mob protest, which was the Obama Administration’s story for approximately 14 days. THE WEEKLY STANDARD: The Administration’s “talking points” were altered to obscure the truth. COMMENTARY MAGAZINE: Despite claims to the contrary, President Obama and the media continued to blame a YouTube video and protest for the murders of four American diplomats. FOX NEWS: Within 48 hours, it was confirmed that events on 9/11/12 were a two-part al Qaeda-style attack, and had nothing to do with a YouTube video or protest. YOUTUBE: President Obama and his team, however, continued to blame a YouTube video, even at the United Nations 17 days later. (Relevant remarks begin after the 10-minute mark). YOUTUBE: In a hearing, Hillary Clinton exclaims “What difference does it make…how they were killed? !” but later admits the attackers were terrorists. YOUTUBE: Secretary of Defense Panetta says that Obama was told of the attacks during the attacks, but the President did not ask for updates and was not in the Situation Room. Where are the 30+ survivors of the attacks, and why haven’t we heard from them? CBS NEWS: Obama Administration witholding identities of survivors. 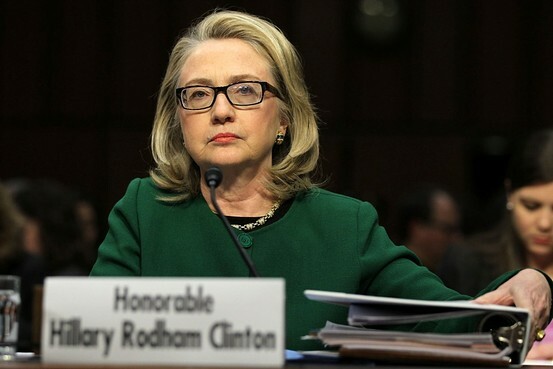 FORBES: Survivors of Benghazi have been sworn to secrecy…. There were dozens of attackers on 9/11/12, and it is not known if any of the attackers have been captured or killed. Why did the State Department deny Stevens requests for additional security, even to the point of pulling security out in the months leading up to the anniversary of 9/11 in a very unstable region, even while other consulates were given luxuries like smart cars? Why wasn’t a sufficient amount of help sent in a timely manner to the consulate? Even more troubling: Where was Obama during the attacks? Was he not even curious about how things were going? If the White House knew that militant groups were responsible for the attacks, why did they blame a YouTube video and “unplanned protest” for at least 17 days? Mistakes were made before, during, and after the attacks. The families of those who lost their lives, and the American people, deserve answers.